Allahu Akbar, Allahu Akbar (Allah is the greatest) - the sweet sound of athaan, the call to prayer echoing through the streets of Bokmakierie. 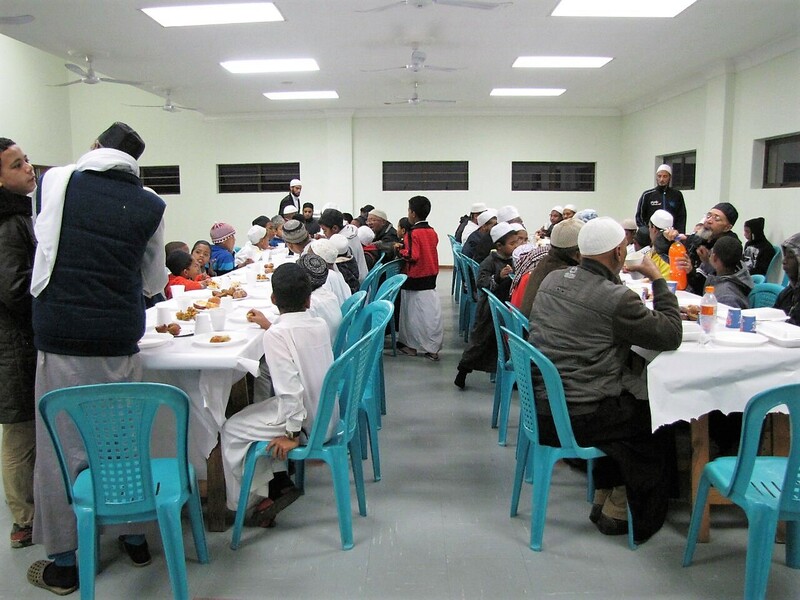 Here, community members break their fast at Masjied Khaleel, and prepare for Magrib. The mosque, established in 1996, had undergone renovations since mid-year 2014, having the mosque open for functions. 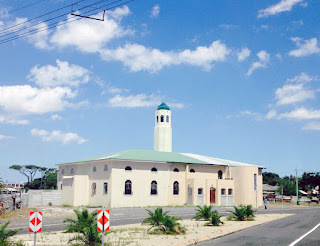 The mosque offers madrassah classes as well. 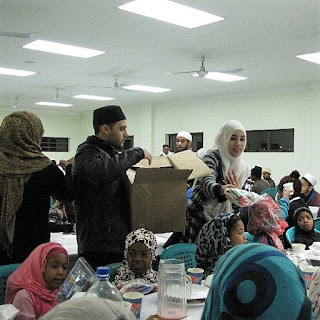 The Masjied committee recently started a Carpet Funds Collection to cover the extended front of the mosque, which we can all support. 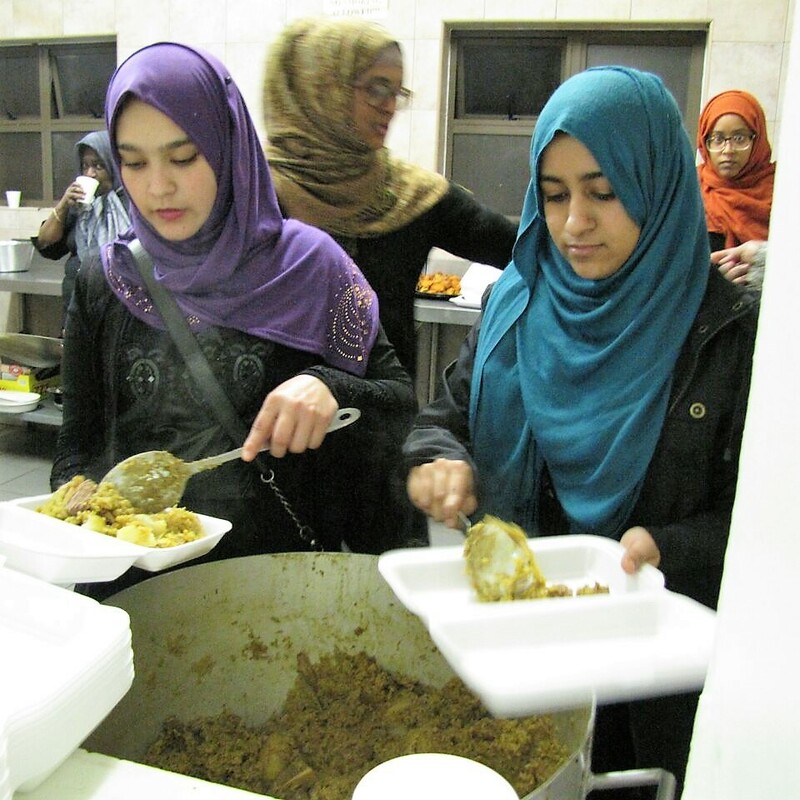 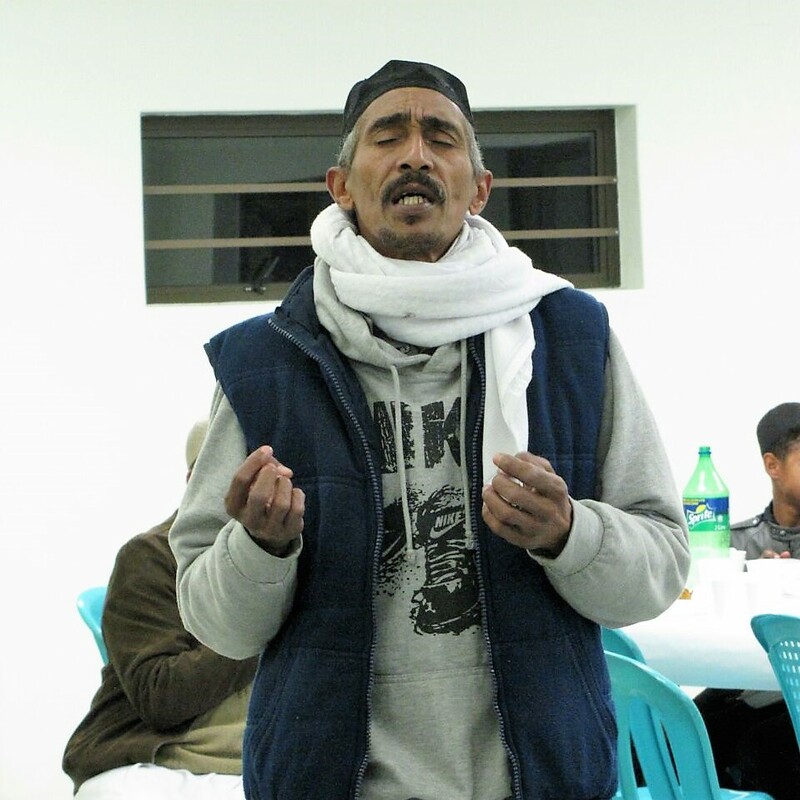 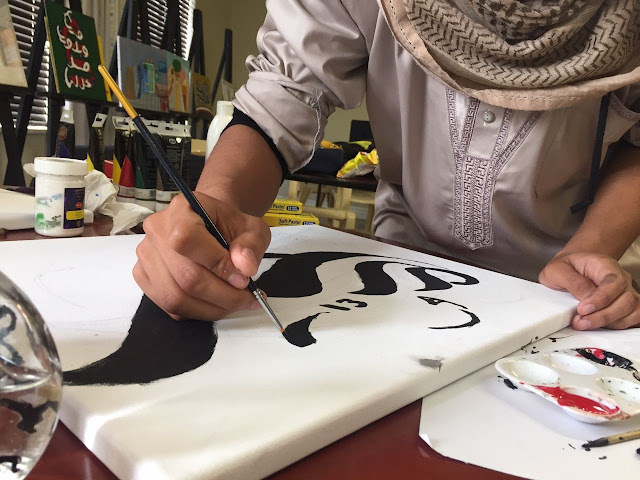 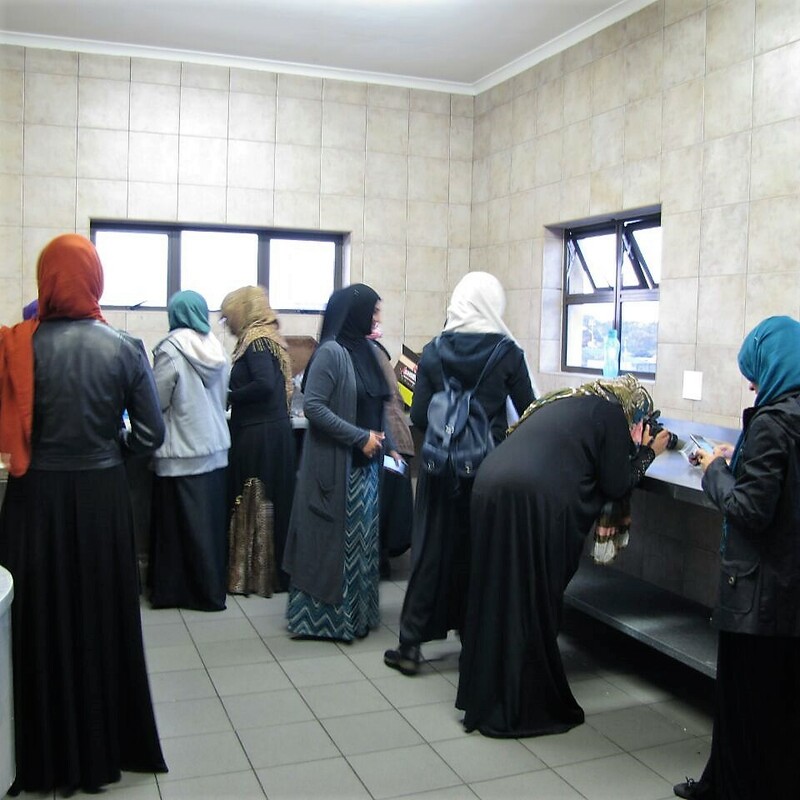 As part of IPSA’s Community Outreach programme, Bokmakierie was next on our list to serve as stewards - to make warm connections with others who may not always have enough food to break fast with. Situated in the Hazendal area (the mosque and hall), our staff and students alighted with warm soup and pots of aromatic Akni, falooda and all kinds of sweet and savoury treats and gift packets for the younger ones. We started with Thikr before Maghrib, seeping into the hearts of those in the mosque, the melodious sounds bouncing off the walls and warming everyone, and making us oblivious to the outside cold. 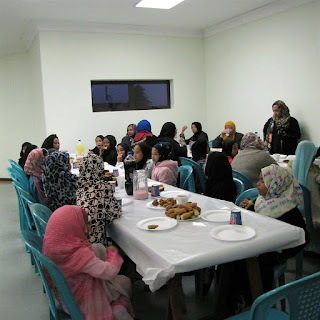 With the heart-breaking renditions of salawaat, the women started setting up the hall and dished out the delicious food and treats and everyone helped with the serving. 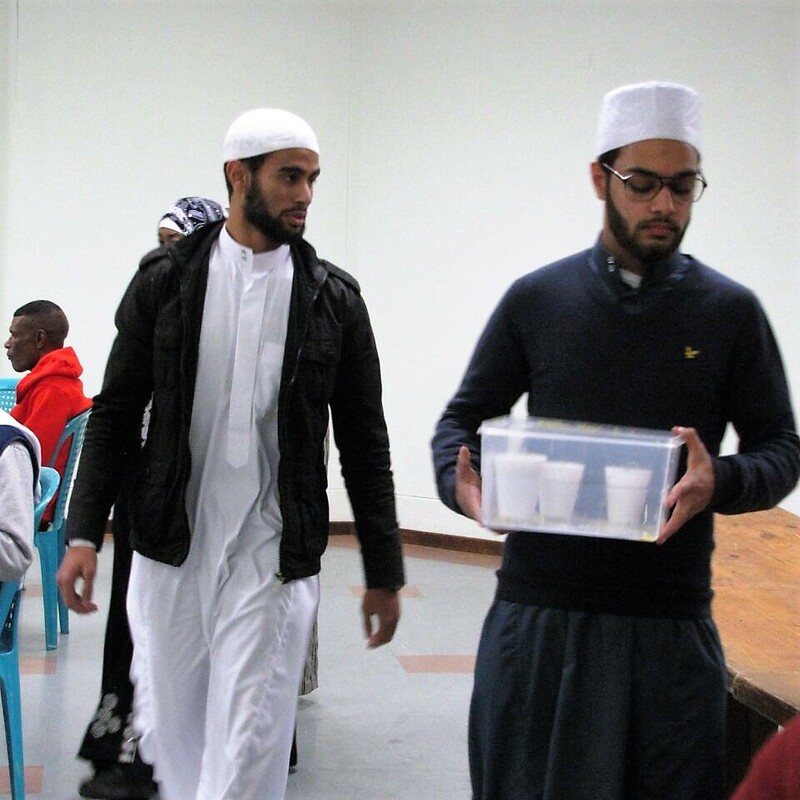 Everyone joined in with the serving. I really looked forward to being in the company of other families and enjoying the baraqah that came with it. 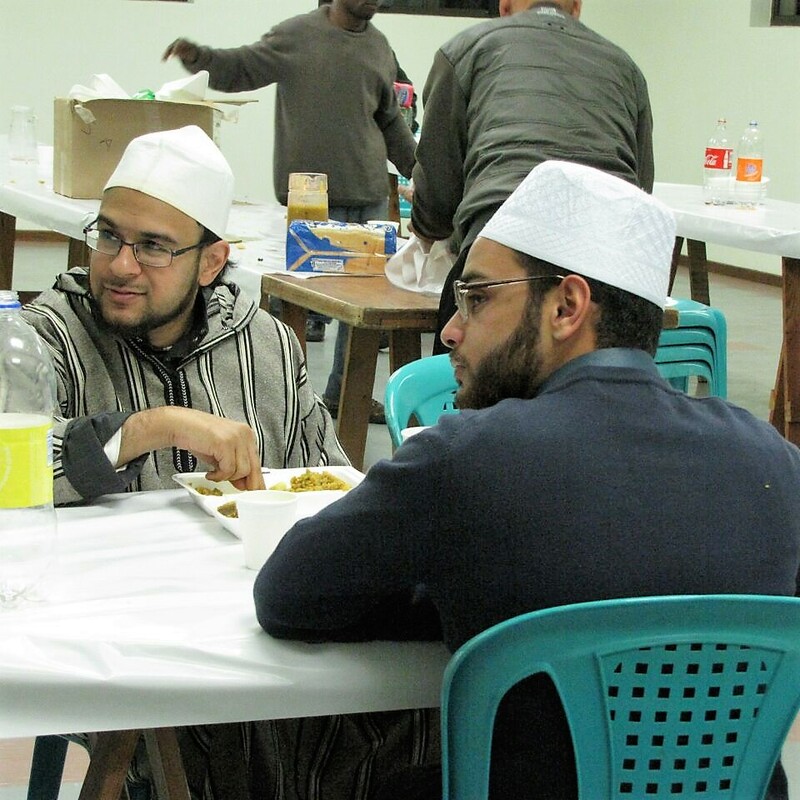 Breaking fast with a different group of people felt warm and welcoming. 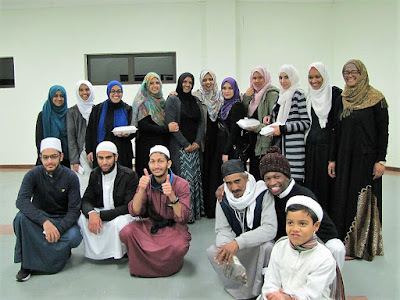 Seeing everyone sharing and enjoying the food together enhances that sense of togetherness and shows that no matter where you come from or who you are with, starting something in the name of Allah, is always a blessed act of ibadaat. We chatted with the children, they were having a great time, laughing, looking through party packets, posing for some photos and even showing off some of their beautifully styled scarfs and abaya’s. 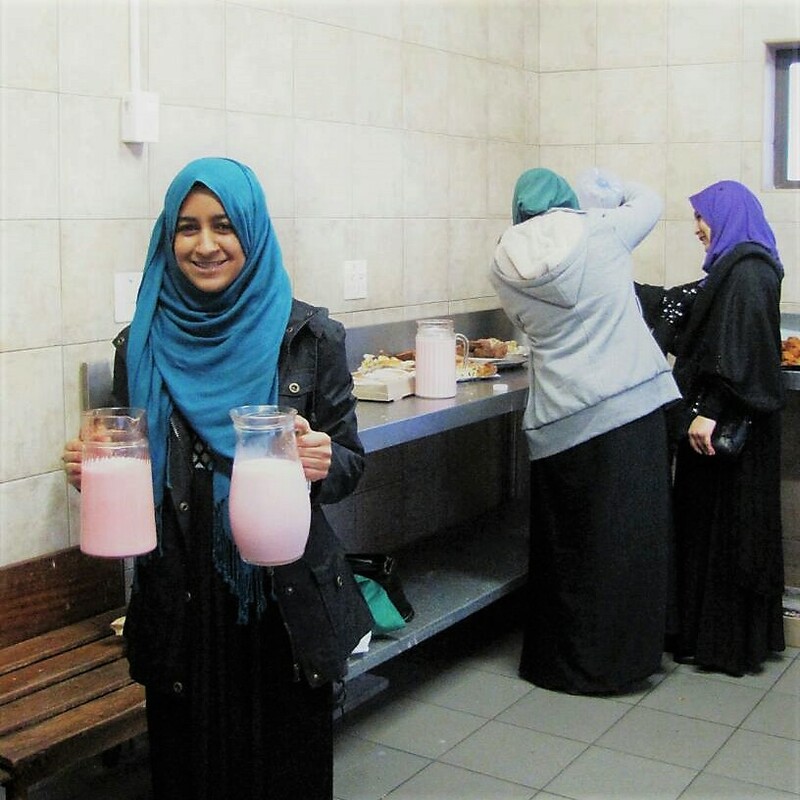 "(The righteous are those) who feed the poor, the orphan and the captive for the love of God, saying: 'We feed you for the sake of God Alone; we seek from you neither reward nor thanks.'" – (Quran, 76:8-9) comes to mind as I sit in this beautiful house of Allah SWT, gratified that I came. I so look forward to Thursday’s boeka on our home ground at IPSA campus where we will be hosting an Iftaar as for the Habibia Orphange, our neighbours!!! 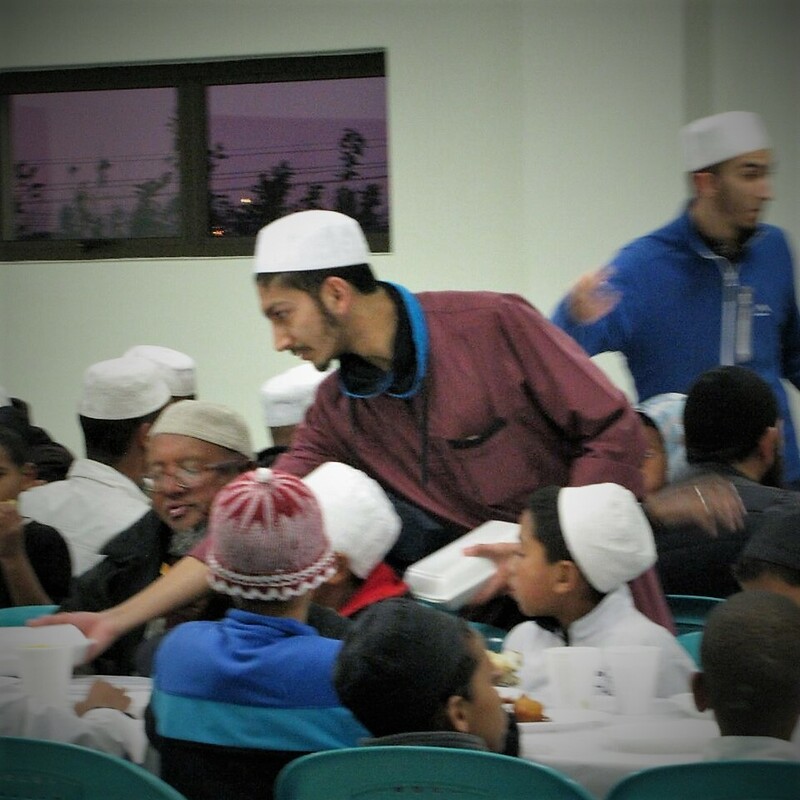 See you all there inshaAllah. 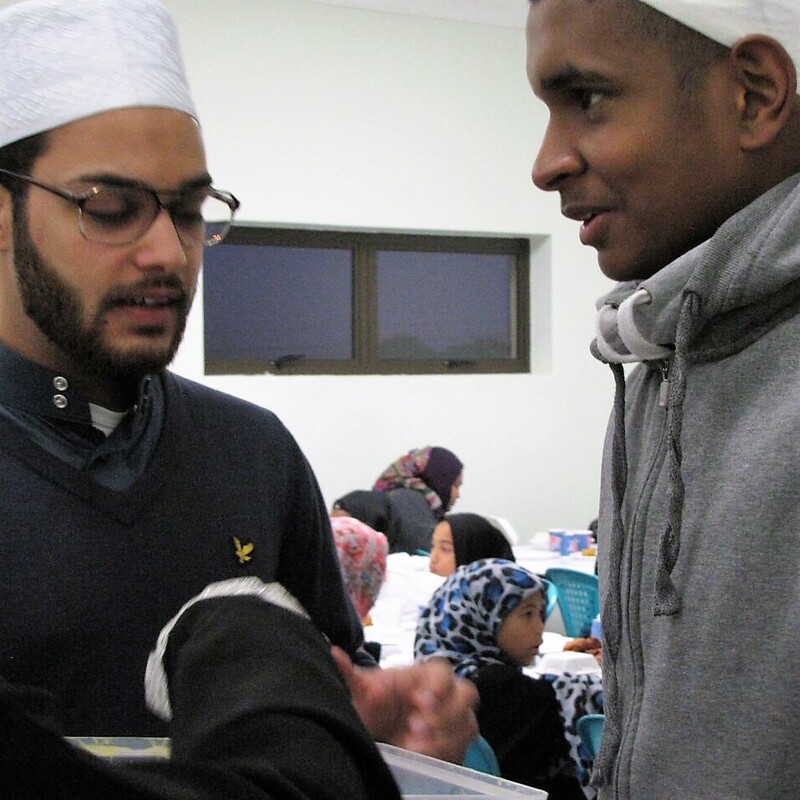 Mish’al and Nishaat giving party packs.